Can you help me identify the new chords? This leads to a broader question I have been curious about. When you add a seventh, say, to a V chord, you get a V7. 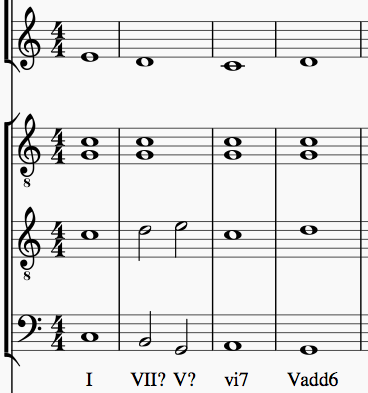 When you add a sixth to a V chord, you get a V6. But what about when you add a sixth and a seventh? Or a sixth, a seventh, and a fourth? Is it a game of "majority rules" regarding how to name the chord? 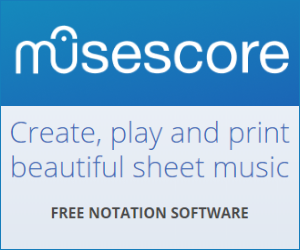 Does the root note carry more importance than other notes? I would be very appreciative if you could help me get to the bottom of this! Thanks! Keep in mind that not every pitch you play has to be a chord tone. Some pitches are what we call non-chord tones, meaning they are lower in the hierarchy and don't affect our understanding of a given harmony. One such non-chord tone is the pedal (or pedal point), where a pitch just holds through without changing. And this is exactly what you have here: After your I chord in m. 1, the C G both stay as pedal points as you move into VII. But you're right, when you add a sixth and a seventh, you start to create a bit of a cluster chord; sometimes it's best to go with Occam's razor and find the more basic solution. Your last measure, for instance, might best be understood as a Gsus4 (there's actually not an add6, because there's no E). Similarly, your V? might best be viewed as a C/G chord with a D non-chord tone; but others would be comfortable calling that a Gsus4add6. This process is a balancing act: sometimes the more advanced chord will tell you what's happening in the music more clearly. But other times, multiple chord names will get the job done. I'm not sure there's a hard and fast rule, unfortunately. Not the answer you're looking for? Browse other questions tagged theory chords chord-theory harmony chord-progressions or ask your own question. What are the chords names for these two-note “chords”? How to turn each chord in a progression into separate scales?